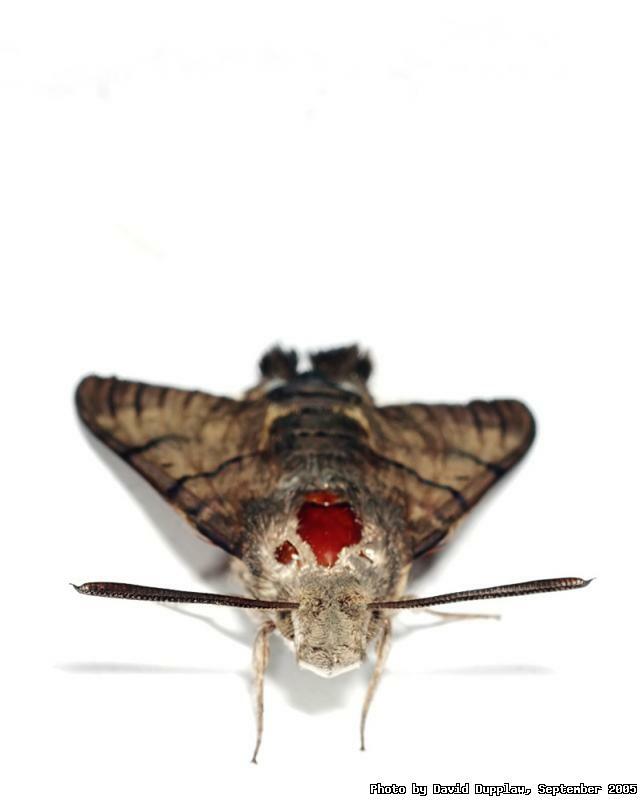 Any help on identifying this moth would be appreciated :) I found him buzzing around our window in our lounge. At first I just thought - Wow, what a big moth! - but I am pretty sure that it was a Hummingbird Hawk Moth (Macroglossum stellatarum), as it perfomed a few impressive hovering feats before sitting in an awkward position under our blinds for the rest of the day. As evening approached I decided to remove him from the lounge, using a glass and some paper, and took him outside. Having emptied him from the glass he just sat on the paper, which is when I took this shot. He was in no rush to leave, and I had to almost force him to take off and find somewhere good to roost. I am guessing the red patch with no fur was either where it was newly hatched, or perhaps where it was just bashing itself against things in the house.